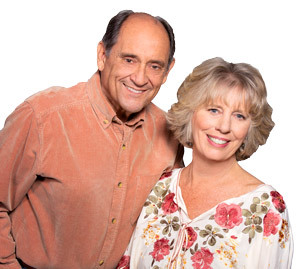 Don and Jan were unbelievably great to work with, in fact; we developed such an awesome relationship with them that we now feel totally comfortable calling them Mr. and Mrs. Bosson! They were fun and friendly and deadly professional—-these guys know their business and are so good at what they do, that they actually sold our home, ( in this market), before it actually went on the market—and at the price we were asking!! Don and Jan were completely thorough and knowledgeable about their business, and made a potentially difficult time for us seem like a walk in the park. We now feel blessed to count them as friends. Thanks again, guys!